It's summertime and it's hot. Back at my parents' place, the way to beat the heat (during lunch) is to have cold noodles. 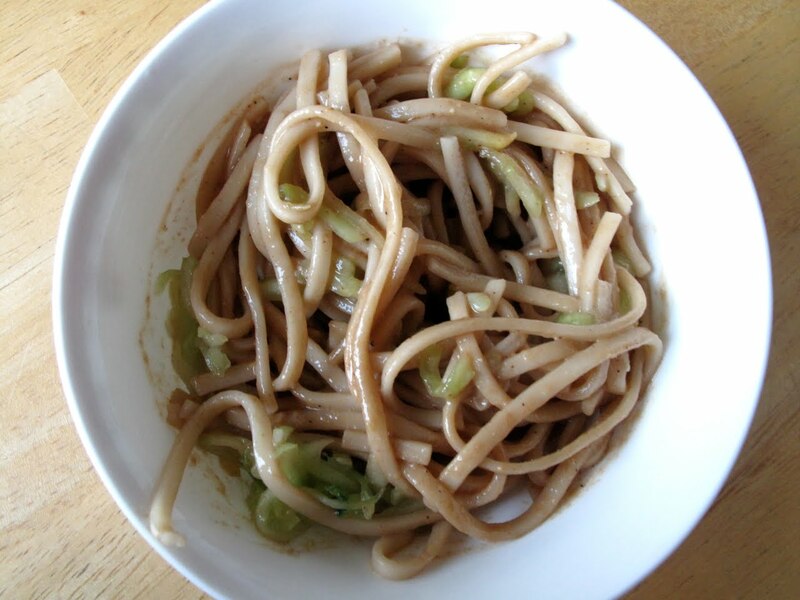 A traditional and popular summer dish in Shanghai that's simple to make and healthy. First, cook a batch of noodles. Any kind that you have lying around will work. 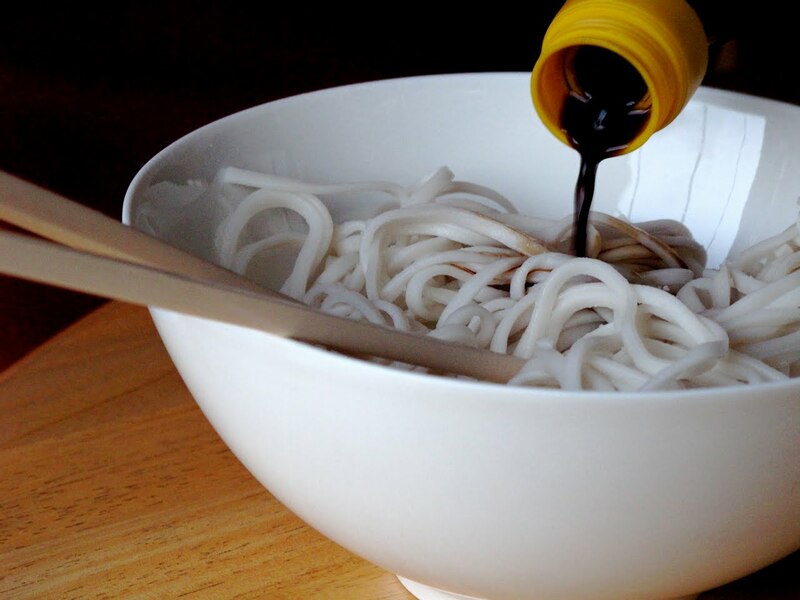 I think these are Chinese lo mein noodles. 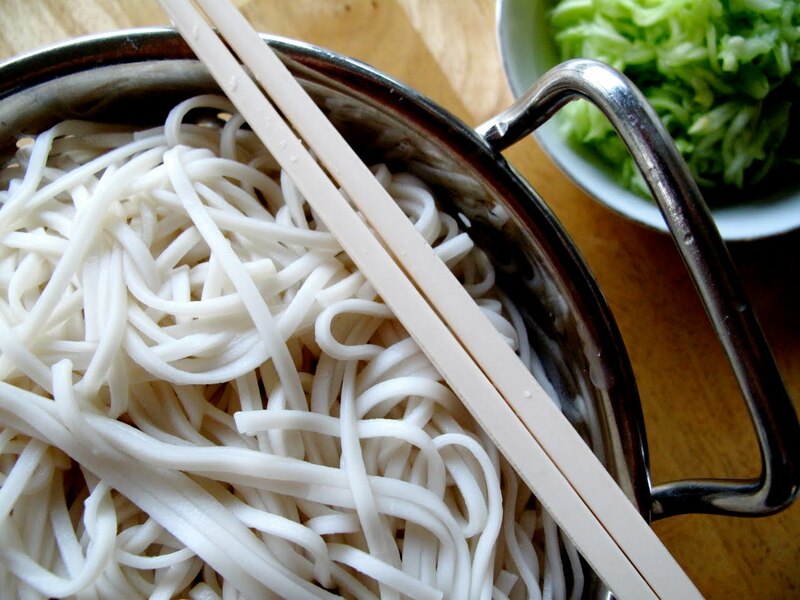 Soak the noodles in cold water until it cools down. Prepare some thinly julienned cucumber in a separate dish.Then you add an elixir of soy sauce, bean paste (or peanut butter), and sesame seed oil. Drop in the cucumber and mix it around. Voi la! Instant cold noodles for lunch.